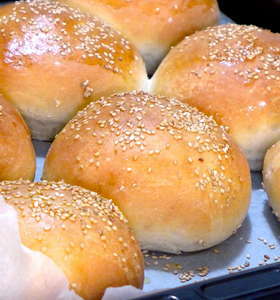 Best homemade Hamburger Buns recipe! 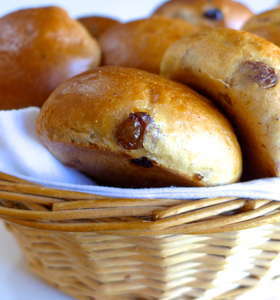 These lovely homemade hamburger buns will definitely become the talk of your next barbecue! 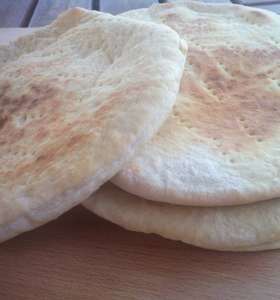 Fresh, fluffy with a wonderful golden brown semi-soft crust.. 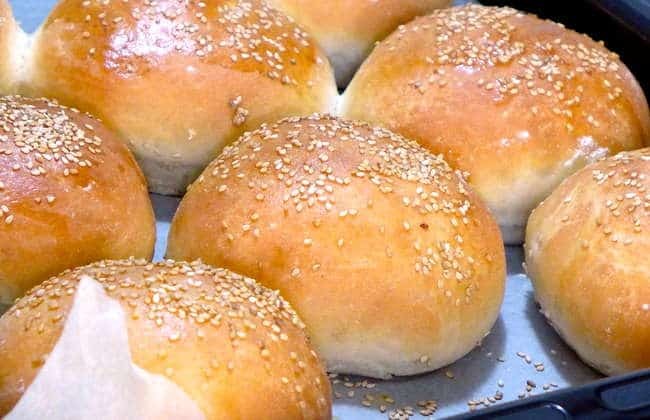 This is our very best homemade hamburger buns recipe, which after you try, you will never go for the store version again! Light and puffy with a dark, golden-brown flaky crust.. 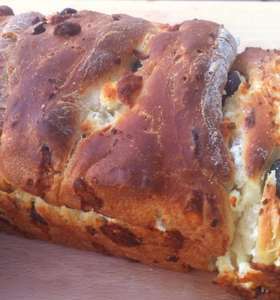 If you are looking for something different, this Mediterranean flavoured brioche-style olive bread will certainly amaze you! Follow our detailed step-by-step instructions and prep photos and succeed on your first time! Easy bread recipe for beginners! Who said making your own bread is always a chore? 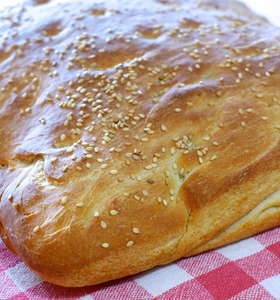 Never again, with these hand picked, super easy bread, pita and buns recipes! 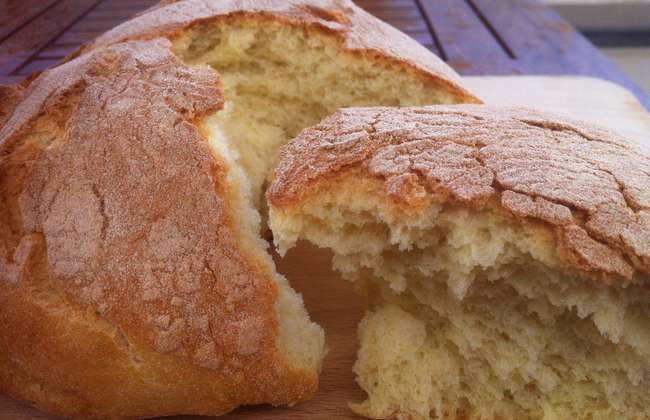 Give them a go and you will wonder why you have never tried making your own bread before! 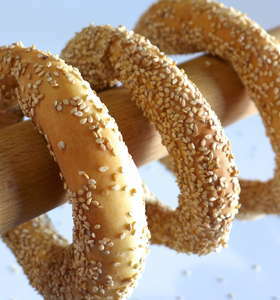 A traditional Greek sesame seed bread rings recipe! If you’ve ever found yourself walking the streets of Athens or Thessalonikis then you can’t have missed on all the street vendors selling these popular sesame koulouria! 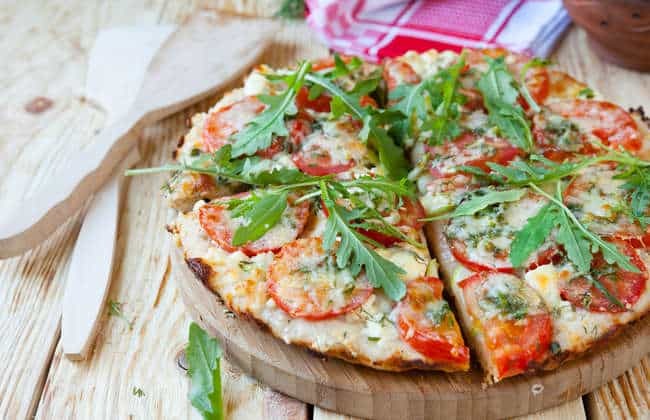 Discover how to make your own with this original recipe here! 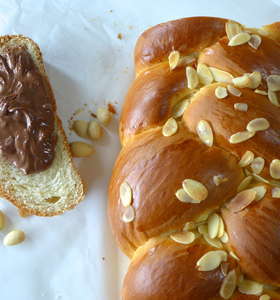 A traditional Greek Easter Bread (tsoureki) recipe! Making your own tsoureki can be challenging even for the experienced cooks, but experience has shown me, that it’s all about having the right recipe. Go ahead, find out all the secrets to make it to perfection! 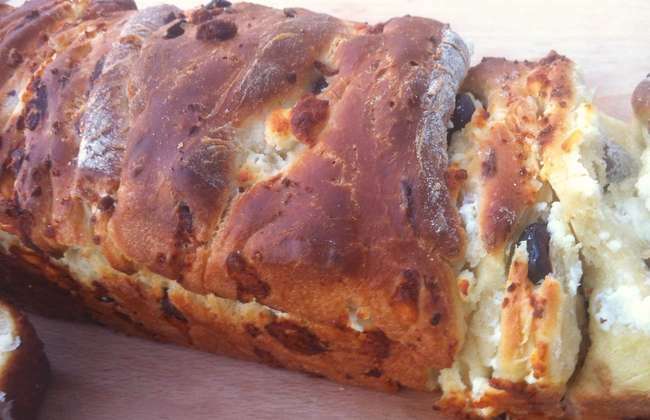 The healthiest and super delicious raisin bread recipe you’ve ever tried! 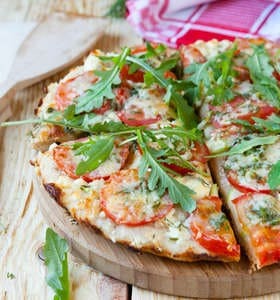 Whole-wheat flour, honey instead of sugar and only 1/2 egg and a knob of butter for eight hearty portions.. The perfect healthy snack for you and your family. Enjoy!